The story is about an awesome dog who was in a animal shelter our family adopted when he was eight weeks old. Our dog Bear was a little puppy with jet-black curly hair, very adorable and cute. He soon grew into a twenty-eight pound adult size dog who was a ball full of energy during his thirteen years of life. 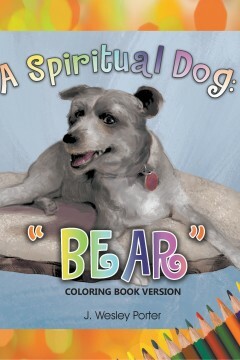 Bear gave love to us and everyone he ever interfaced with. 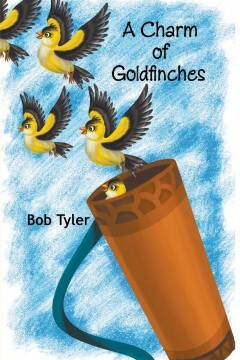 This book is for people of all ages and all walks of life who want to enjoy a great wholesome story about beautiful, kind animal. 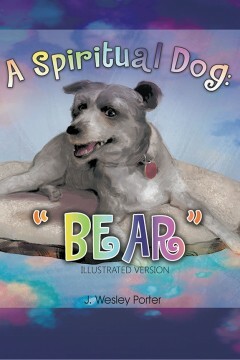 This book will appeal to Animal Shelters, Children’s reading groups and anyone who loves animals for a feel good story. 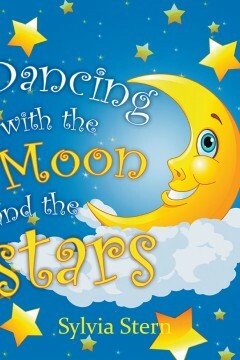 This book also makes for a good bedtime story. A playful, illustrated poem centered on animal group names. A porcupine prickle has needles galore. A gaggle of geese will waddle on shore. Boogie the puppy is the runt among his brothers and sisters. He sometimes feels alone until he meets all sorts of friends in the woods. Even though his brothers and sisters weren’t so nice to him, he learns that he still loves them. 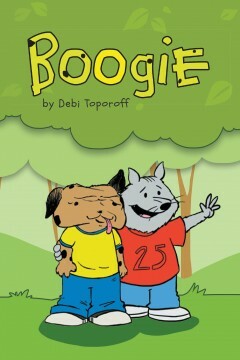 Boogie teaches children about forgiveness and being different is okay, even if you are little. Every member in the family will love this book. Boogie el perrito es el más pequeño de sus hermanos. A veces se siente sólo hasta que encontrar algunos tipos de amigos en el bosque. Aunque sus hermanos no eran simpático a él, aprende que todavía los ama. Boogie enseña a los niños de perdón y que ser diferente es bien, aunque seas pequeño. Todos en la familia amarán este libro. Author of OOPS! Wrong Family Dr. Toporoff spends her spare time as a motivational speaker, writing, comedian and enjoys riding her big tractor every chance she gets. Dr. Toporoff is currently retired after working over 44 years as a Mental Health Nurse. Dr. Toporoff received a Bachelor’s degree in sociology from the University of South Carolina, a Master’s in health services administration from Central Michigan University, a Master’s in theology as well as a Doctorate in Ministry from the Life School of Theology. She currently resides in Beech Island, South Carolina. Dr. Debi has written two articles for the Kids Ark Magazine and was a runner up for the Selah award for “Who Parked the Ark in 2013. 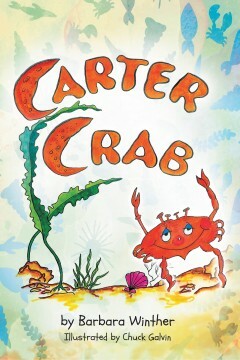 Carter Crab is a fantasy picture book about a bored crab who, in spite of warnings, leaves his easy life and searches for adventure. As Carter takes off, he makes friends with a shrimp family and a very long eel. Together they explore beyond the wavy-weed forest. The ocean is warming up. Food is getting scarce. The sky appears to be a sea full of food if only they could reach it. Perhaps they should visit the strange but delicious-smelling pots that hang down from the surface of the water. Meanwhile, Sam Shark swims around in the shadows, looking for a good meal. How does Carter survive? Or does he? Barbara Winther has written 56 one-act plays and four musicals for young people. Besides her books of plays, she wrote and illustrated The Time of the Kachinas. See her website for more information: www.BarbaraWinther.com. She lives with her husband on an island near Seattle. Janice Hutterer was born and raised in Wisconsin. She graduated from Silver Lake College where she received her Bachelor of Science in Early Childhood Special Education in 2002. Janice is an Early Childhood Special education teacher in Manitowoc, Wisconsin where she has taught for 13 years. She currently lives in Francis Creek, Wisconsin with her husband, two daughters and their dog named Bree. Recently, Janice invented and is developing a toy called the “Pop and Pull Snowman” which inspired her to write a book on the experience of building a snowman. 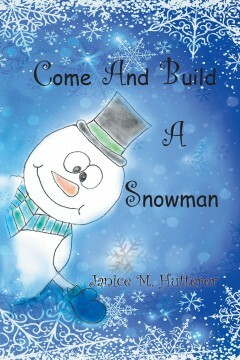 Her snowman can be viewed on YouTube, Janice Hutterer/Pop and Pull Snowman. She believes all children deserve to experience the joy of building a snowman whether they live where it snows or not. For the past 13 years, Janice has searched for tools to use to share the experience of building a snowman with her students. Unable to find exactly what she was looking for she decided to create her own. She is currently working on her second book titled “Come And Plant A Seed”. The author of this book spends time with clouds by talking to them, riding one of them and tasting the sky. She laughs with the rain and dances with the stars. She spies on autumn fairies painting the trees and travels with the leaves as they fall. She imagines our world in different colors and gets cozy with insects. She even imagines pulling a tooth from a crocodile and living through it. These are only some of the events and some are illustrated in full color. 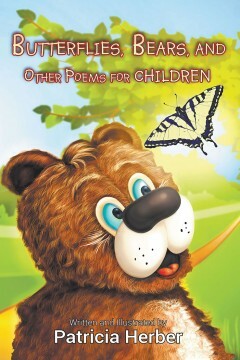 She had fun writing these poems and hopes that you enjoy reading them. DEWAN! 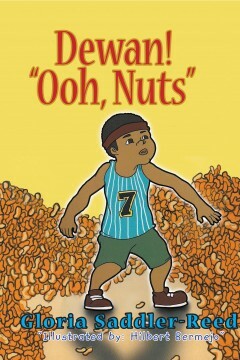 “OOH, NUTS” is one of a series of Children books that humorously follows a seven year old boy who tries very hard to prove that he is not too young to do BIG things for himself. But while trying to gain his autonomy or independence, he almost always encounter mishaps which leaves a messy trail that always lead back to DEWAN! 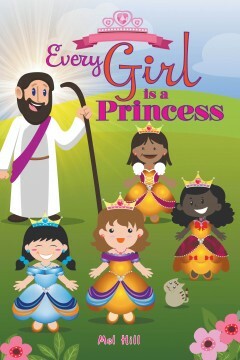 Every girl is a princess is about group of young girl who want to be princesses. One girl knows just how to do it! Will they all believe?